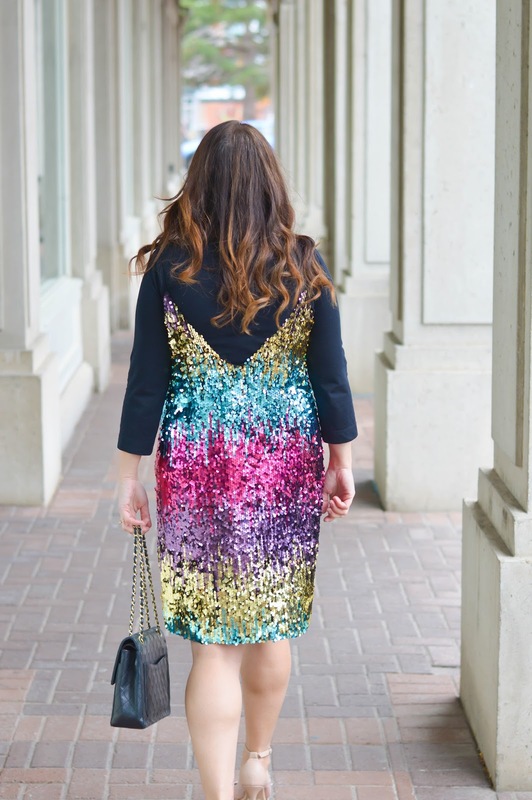 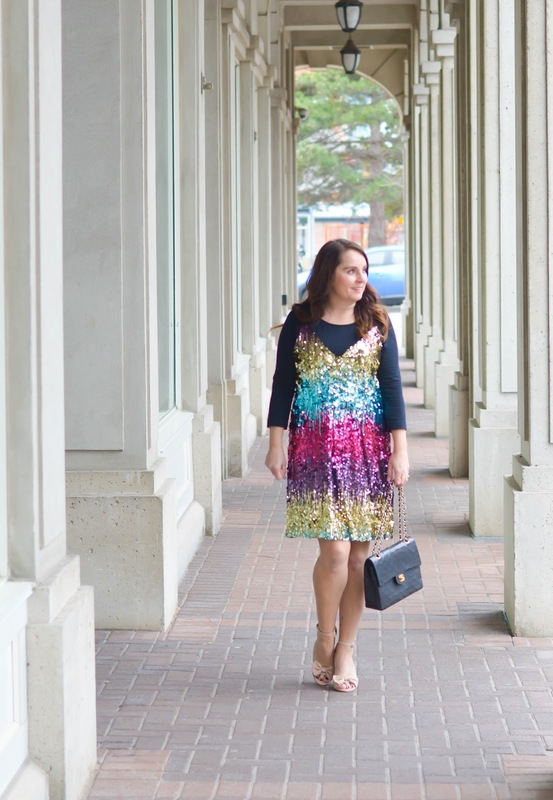 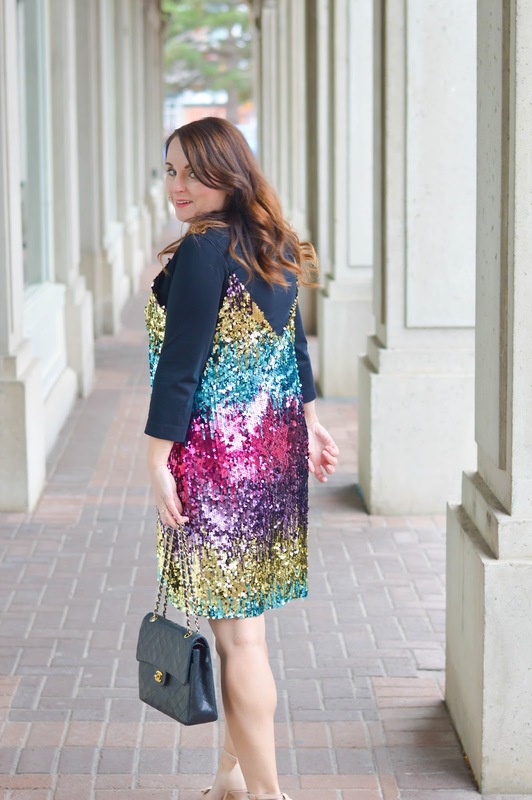 One of the items on my clothing bucket list is definitely a sequin party dress. 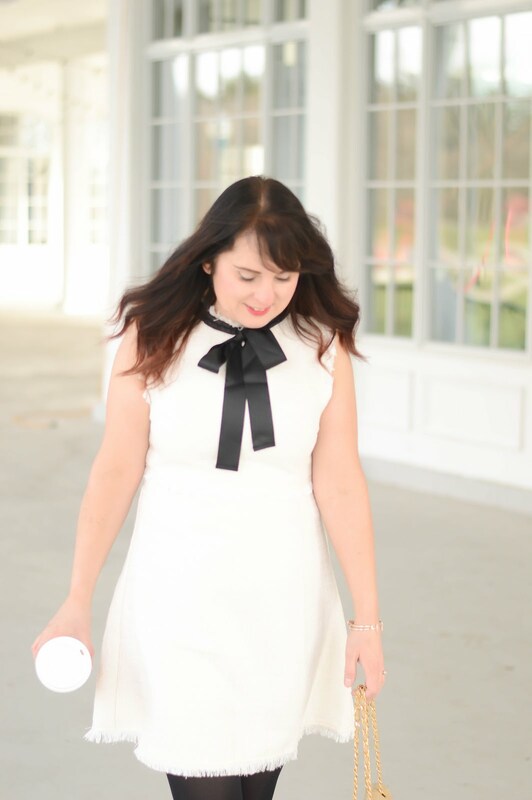 I really don't go to parties much anymore so any excuse to dress up and take a picture in a pretty dress is just the same as going to a party for me. 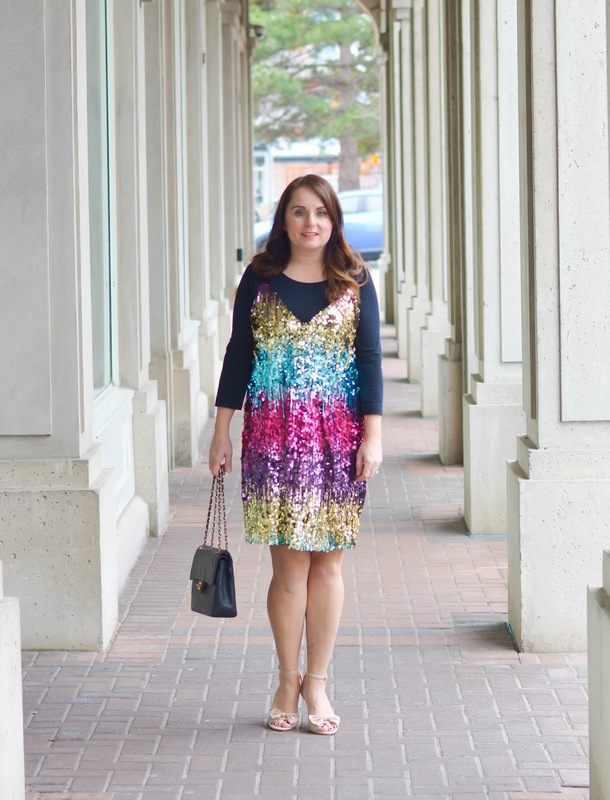 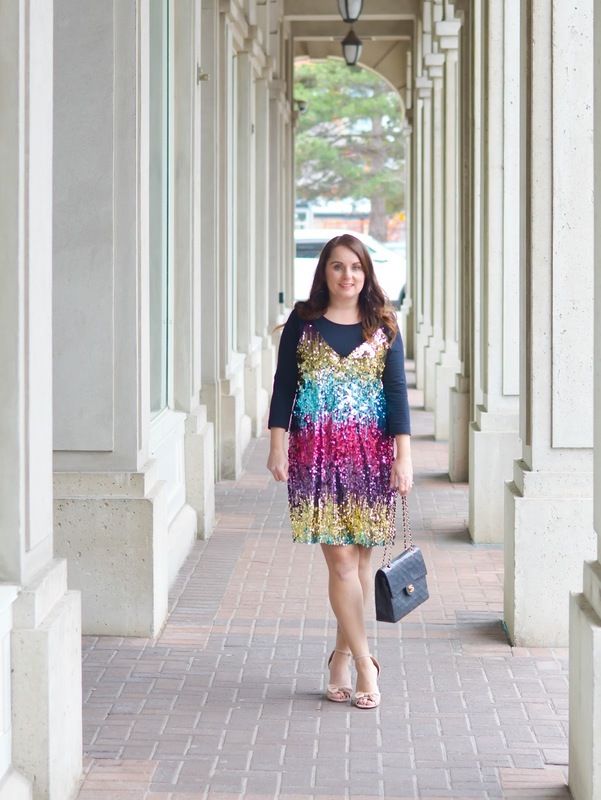 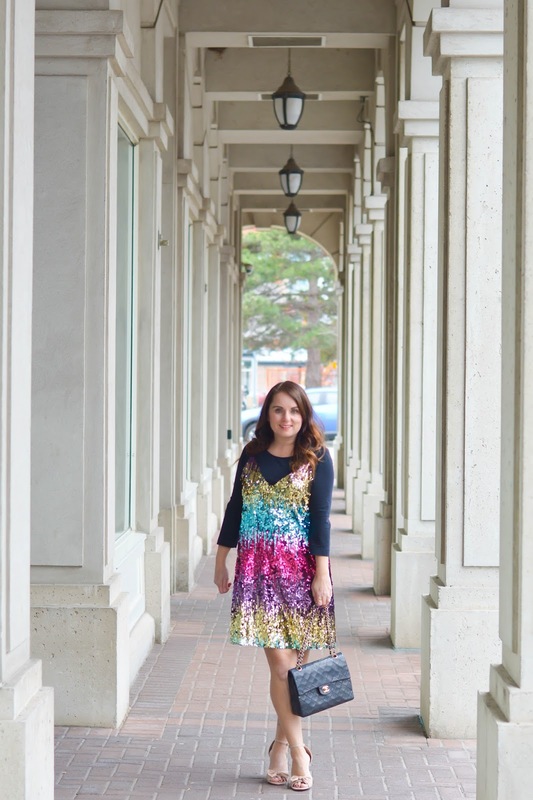 This dress is a whole lotta party! 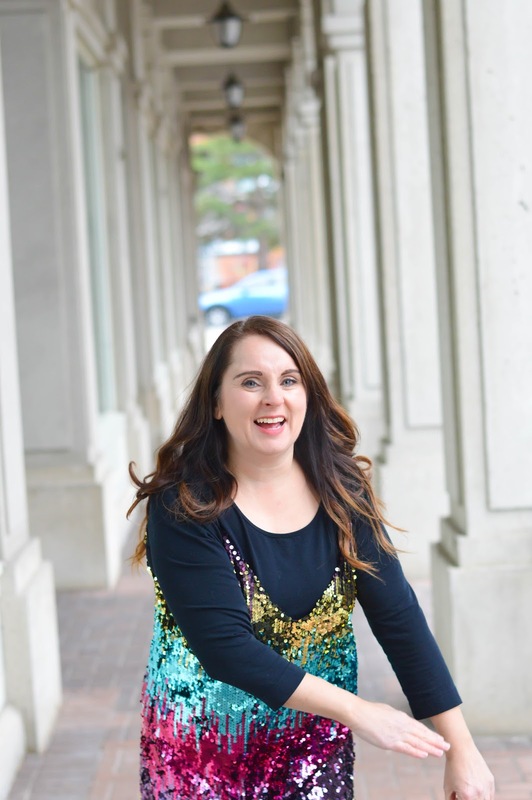 I paired it over a black shirt because well it was a bit too low cut in the front for me, but I rather like it paired with the black shirt. 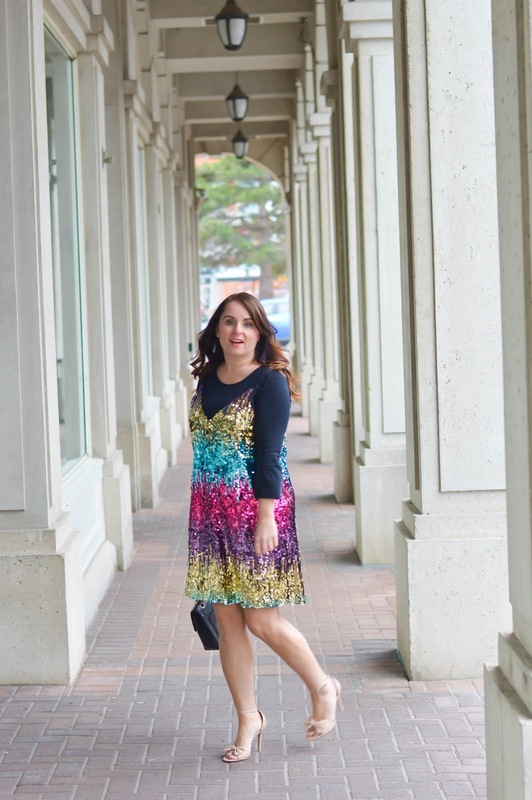 The rainbow colours of the dress really 'pop' against the black. 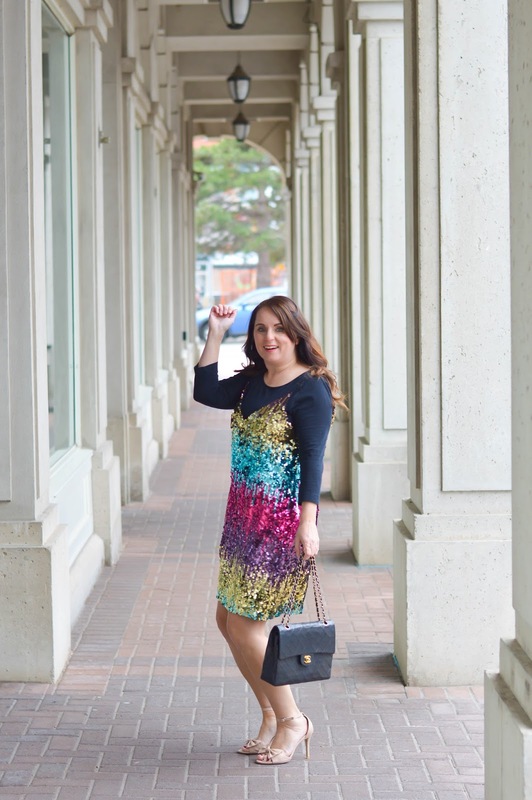 For under $30 this dress is a steal of a deal!